Made exclusively for Classic Elite, Lush is just that - luscious! 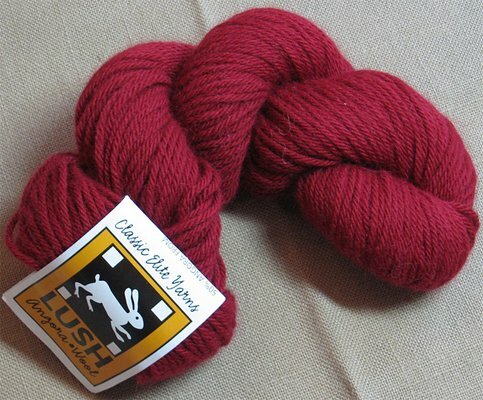 Lush is a blend of wool and angora spun into a 4 ply worsted-weight yarn. The wool in the mix keeps the yarn stable and sturdy and the twist of the yarn provides a bit of spring. The addition of angora makes the yarn extremely soft and cuddly and provides a lovely even halo. Working with with Lush is a pleasure—it has the hand of a luxury yarn but without the price.